The food they serve at Dong Bei is authentically Chinese. Unfortunately this pioneering Chinese restaurant has seen better days. Even at 8 p.m. the business is rather slow. This restaurant is situated along that famous stretch of restaurants that serve Teochew Moi (Teochew Porridge) and Chinese desserts in Pudu. Dong Bei translated means Northern East, which refers to the northern east part of China that borders Russia, Korea and Mongolia. They do a spectacular array of authentic Chinese dishes and you can read two fantastic, in-depth accounts here and here. We however were pressed for time that night and just opted for the more zippy sort of food, which were the legendary chinese noodles. First the fried dumplings. Wow, these dumplings at Dongbei had an excellent skin wrap. The texture when fried was crispy on the sides and yet it maintained a chewy skin centre with a meaty filling of just the right mixture of flavours. Dipping this into the ginger-vinegar dipping sauce brought out the gorgeous aroma of the pork fillings. I liked the fact that they were generous with the ‘kau choy'(chives) too, in the stuffing. These dumplings are one of the major foods eaten during the Chinese New Year especially around China’s northern provinces and serving them brings the promise of wealth, good luck and prosperity! 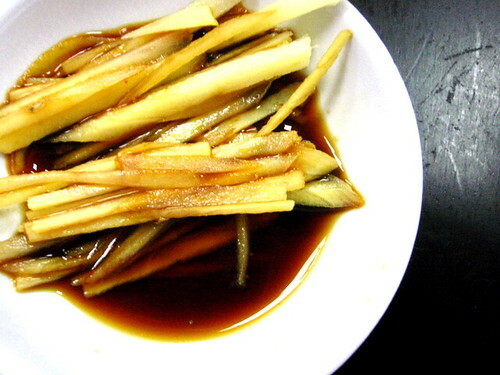 Many families eat these at midnight on Chinese New Year’s Eve so they have money at the changing of the year. ( I guess we are just in time for good fortune as CNY is indeed round the corner). 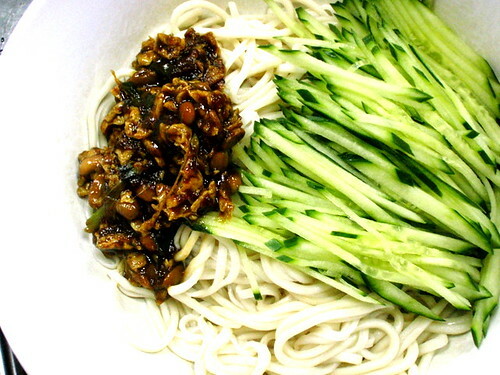 The cold noodles (liang mien) were delicious. 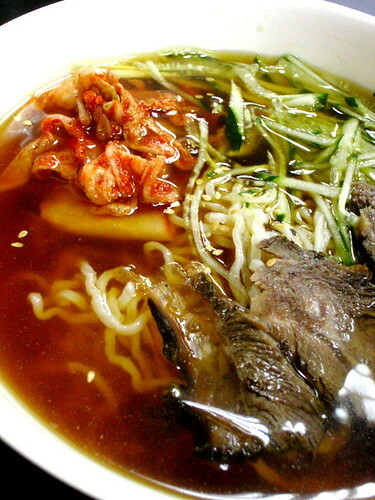 The noodles cooked al dente plus the added sourish ‘zing’ lent by the Kimchi (pickled cabbage) as well as the vinegar cold soup, gave these cold noodles a lot of kick and character.The beef slices were soft and flavourful. We also had the pleasure of trying some dry noodles that came with a chili fermented bean paste. The dry noodles were really excellent. Cumi found the fermented bean paste too strong and overpowering in taste. I suppose that’s what the cucumber is for – to take away the sting of the fermented bean. Cumi: Dongbei has changed ownership several times. When it first opened about 10 years ago, it was probably one of the earliest la mian (hand pulled noodle)stalls in KL. The restaurant had a simple setting without air conditioning. There was a stall at it’s frontage where a lanky gentleman-chef from mainland china (who couldn’t speak a word of English) made possibly the best hand pulled noodles and chinese dumplings in town. Great noodle texture and very tasty dumplings at a good price! If you didn’t want long strands of noodles, he had a watermelon-size dough which he rapidly shaved shards of dough into the boiling water. It’s the kind of scene you’d probably see on the food channel. All in all a pleasant dinner. 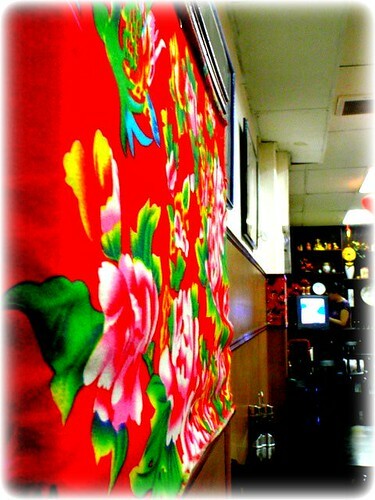 We might come back soon for the other authentic Chinese dishes. yup yup.. traditionally chinese that’s why. The cold noodles looks good!!! 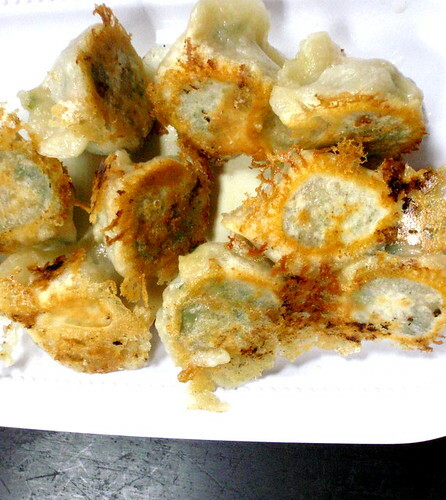 ohh the dumplings reminds me of the 1s tat u can get in pavilion, the 1 that the pao xiang bkt replaced. I like cold noodles. Near my office somemore. Must go. Btw, I always feel the need to put on sunglasses when I look at your fantastic photographs! teehee! i like to eat dumpling with lots of ginger/vinegar. yar.. so sad. I still like it though.. i wish the plc would revive! Oooo….fried dumplings! Nice. I’ve never tried cold la mian before…maybe it’s time I got rif to come here with me. I am digging the thought of those cold, cold slippery suckers slithering down my throat! Would have been the ultimate cure for that nasty tonsilitis earlier this week. Hey they speak English in there now? I think I’ve been there once with Robyn and other friends and they only spoke Mandarin. I haven’t eaten any of those things you tried though – guess Beijing is not dongbei enough. I wrote about them my experience as well, when the oily pot of chicken got my tongue almost burnt. excellent! thx for the link !